These are the Wright family web pages. They have been created primarily to publish some genealogy information and to provide access to some other information while we are away from home. There is some genealogy stuff here. Our ZoneMinder (v1.32.3) is here. Some details for setting up specific cameras on ZoneMinder are here. I'm working on the mobile look and feel but it is proving to be a bit of a mission. 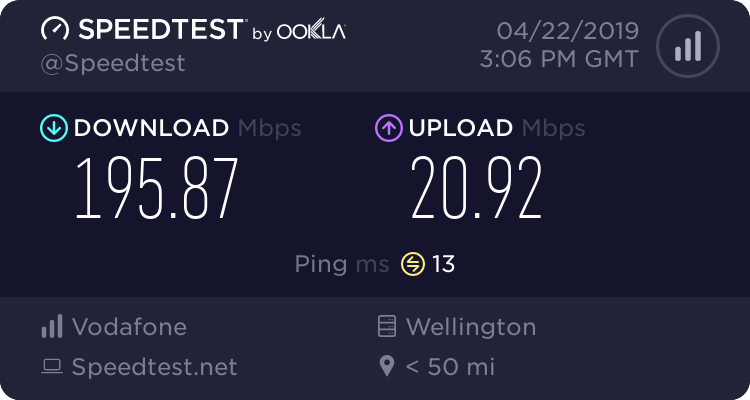 Latest speed test generated at speedtest.net: 2019-04-23 03:06:01 NZST using a server located at Vodafone New Zealand (Wellington).